How to Invest in Index Mutual Funds Online? Index Funds refer to the Mutual Fund schemes whose portfolio is constructed using a market index as a base. In other words, the performance of an index fund is dependent on the performance of a particular index. These schemes are passively managed. These funds contain shares in the similar proportion as they are in a particular index. In India, many of the schemes use Nifty or Sensex as the base to construct their portfolio. For example, if the Nifty portfolio constitutes of SBI shares whose proportion is 12% then; the Nifty Index fund will also have 12% equity shares. Index funds passively track the performance of a particular index. Unlike actively-managed funds, index funds are not meant to outperform the market, but mimic the performance of the index. When an investor is planning to invest in index funds, they should pay attention to the tracking error of the fund. The tracking error measures the deviation of fund return from benchmark it is tracking. It is the difference between the index fund return and its benchmark return. The lower the tracking error, the better the fund’s performance. An index is a collection of different stocks and securities. 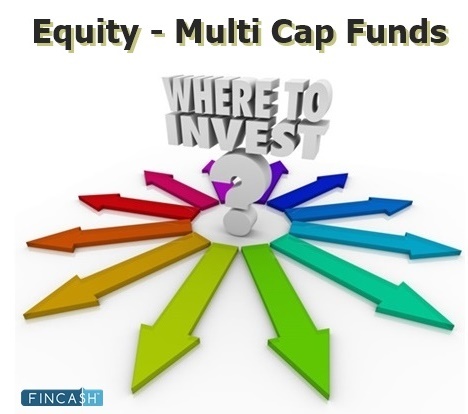 They offer diversification to the investor which is the main motive of Asset Allocation. This ensures that the investor does not have all his eggs in one basket. Index fund has a lower operating expenses as compared to other mutual fund schemes. Here, the fund managers need not have a separate team of research analysts to carry out an in-depth research of the companies against, which a significant amount is spent. In index funds, the manager just needs to replicate the index. Therefore, the expense ratio is lower in case of index funds. Since the fund simply follows the movement of the particular index, the manager doesn’t have to choose what stocks to invest in. This is a plus point since the manager’s own style of Investing (which may not be in sync with the market at times) does not creep in. The weightage of a company in the Sensex or Nifty depends on its free float market capitalization. It is a percentage of the total market capitalization of the index. So, if the market capitalization of a company is Rs 1 crore, while that of the index if Rs 200 crore, its stock has a weightage of 0.5%. These index funds track BSE SENSEX as bechmark index & invest in 30 companies on BSE Sensex based on weightage login as discussed above. 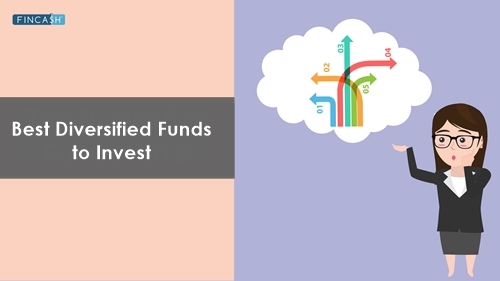 These Types of Mutual Funds are backed by ETF's (Exchange Traded Fund) traded on exchange. These index funds track NSE NIFTY 50 as bechmark index & invest in 50 companies on Nifty 50 based on weightage login as discussed above. These types of Mutual Funds are backed by ETF's (Exchange Traded Funds) traded on exchange. These index funds track NSE NIFTY Junior 50 as bechmark index & invest in 50 companies on NSE NIFTY Junior 50 based on weightage login as discussed above. These types of mutual funds are backed by ETF's (Exchange Traded Funds) traded on exchange. *Below is the list for Index Mutual Funds having atleast 15 Crore or more in Net Assets. 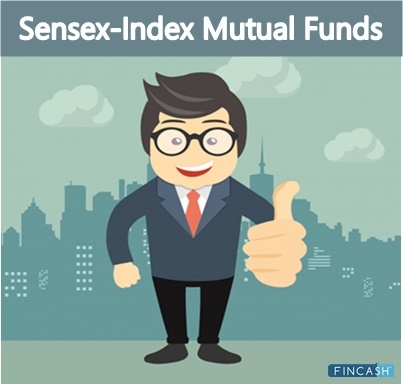 LIC MF Index Fund Sensex is a Others - Index Fund fund was launched on 14 Nov 02. It is a fund with Moderately High risk and has given a CAGR/Annualized return of 13.5% since its launch. Ranked 79 in Index Fund category. Return for 2018 was 5.6% , 2017 was 27.4% and 2016 was 1.6% . ICICI Prudential Nifty Index Fund is a Others - Index Fund fund was launched on 26 Feb 02. It is a fund with Moderately High risk and has given a CAGR/Annualized return of 15.2% since its launch. Ranked 71 in Index Fund category. Return for 2018 was 3.4% , 2017 was 28.7% and 2016 was 3.6% . expected amount after 5 Years is ₹415,684. 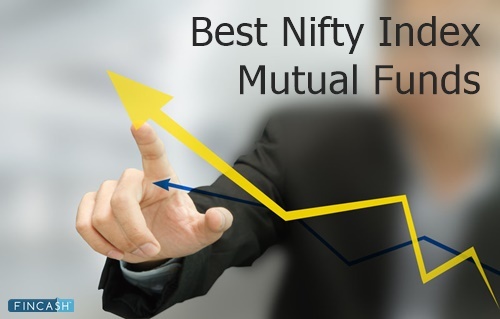 UTI Nifty Index Fund is a Others - Index Fund fund was launched on 6 Mar 00. It is a fund with Moderately High risk and has given a CAGR/Annualized return of 11.2% since its launch. Ranked 68 in Index Fund category. Return for 2018 was 4.3% , 2017 was 29.7% and 2016 was 4% . Franklin India Index Fund Nifty Plan is a Others - Index Fund fund was launched on 4 Aug 00. It is a fund with Moderately High risk and has given a CAGR/Annualized return of 12.7% since its launch. Ranked 76 in Index Fund category. Return for 2018 was 3.2% , 2017 was 28.3% and 2016 was 3.3% . SBI Nifty Index Fund is a Others - Index Fund fund was launched on 17 Jan 02. It is a fund with Moderately High risk and has given a CAGR/Annualized return of 14.6% since its launch. Ranked 75 in Index Fund category. Return for 2018 was 3.8% , 2017 was 29.1% and 2016 was 3.4% . IDBI Nifty Index Fund is a Others - Index Fund fund was launched on 25 Jun 10. It is a fund with Moderately High risk and has given a CAGR/Annualized return of 9.2% since its launch. Ranked 83 in Index Fund category. Return for 2018 was 2.8% , 2017 was 27.4% and 2016 was 2.4% . The primary investment objective of the scheme is to replicate the composition of the Nifty 50, with a view to generate returns that are commensurate with the performance of the Nifty 50, subject to tracking errors. Reliance Index Fund - Nifty Plan is a Others - Index Fund fund was launched on 28 Sep 10. It is a fund with Moderately High risk and has given a CAGR/Annualized return of 8.2% since its launch. Ranked 78 in Index Fund category. Return for 2018 was 3.5% , 2017 was 29% and 2016 was 2.5% . 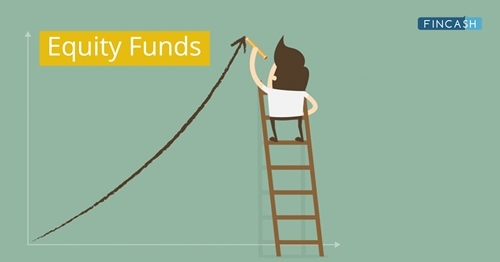 ICICI Prudential Nifty Next 50 Index Fund is a Others - Index Fund fund was launched on 25 Jun 10. It is a fund with Moderately High risk and has given a CAGR/Annualized return of 11.1% since its launch. Ranked 5 in Index Fund category. Return for 2018 was -8.8% , 2017 was 45.7% and 2016 was 7.6% . 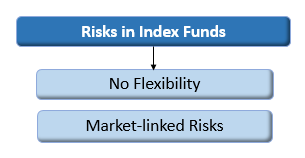 One major disadvantage of investing in index funds is the lack of flexibility. Since the funds just track the index, they can miss out on the opportunity to make higher returns which may arise due to market anomalies and surprises that are not connected to the index. Typically, value stocks would find it very difficult to be part of an index. Index funds have a direct relation with the market. So, when the stock markets fall as a whole, so does the value of the index mutual fund. Despite having a few disadvantages, top index funds can be beneficial for investors who want to invest in equities with a minimal risk factor. As per experts, investors are suggested to include 5-6% of Index Funds in their investment portfolio to make best out of their investment. ☆☆☆☆☆ Rated 4.4, based on 284 reviews.